When Adam was born everything seemed to have gone as planned. Because our firstborn, Andrew, had an emergency C-section we decided to have a planned C-section with Adam. We thought that this would eliminate some of the risks of something going bad and also of having to have our baby spend time in the NICU. Well, the C-section did go very well (except for me almost fainting). When we saw our baby boy for the first time he looked cute and healthy. I noticed that he had a rash but didn't think much of it at the time. I had heard of a lot of babies that were born with rashes and they seemed to all turn out just fine. But the doctors wanted to investigate and be sure that the rash was not something more serious. The doctors decided to wheel Adam into the Newborn Intensive Care Unit (NICU) to do some tests. When I heard this news my heart saddened because I knew that our baby would be poked and prodded many times during his first few days in the world. 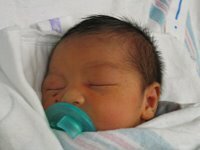 The thoughts of Andrew being in the NICU came back and worry began to settle in as well. At first the doctors were very reassuring that it could turn out to be nothing serious. But then the doctors started to mention the possibility of Adam having Histiocytosis, a traumatic condition that could be fatal in infants. I was told to not search the internet to find out more information because what I would find would be scary and only lead to more worry and panic. I heeded the advice but still worried because when you are told not to look something up you know that there is something out there that is not good and can even be horrific to look at. A few days later after performing a couple spinal taps and a biopsy on Adam the doctors confirmed that Adam had Langerhans Cell Histiocytosis, a very rare condition that only affects 1 in 100,000 infants. The doctor's explained that there was very little known about this disease but that it was a condition that could be treated if complications would arise. The doctor's also were very optimistic that the condition would simply go away. It appears that in infants this condition tends to self-heal on its own and go away. In toddlers the condition is more severe and dangerous. When we heard the news we hoped for the best and started to pray to God that this condition would heal. We asked our family, friends and church family to pray for our baby to heal and be returned to full health. Though I put my faith in God, when I heard the diagnosis I couldn't help but think about "what if" something happened to Adam. There was a deep sadness and concern for his well being. The intensity of those feelings is hard to put into words. I wished that I could trade places with him because I did not want him to undergo any suffering and I wanted him to live a healthy life. I was experiencing the worry and concern of a desperate and concerned father. It was my faith in God and the reality that I could not control these things that helped me get through those first few days. Adam is now four months old and it appears that his condition has completely gone away. He is giggling in delight when tickled and smiling when we play games with him. He is definitely a bundle of joy. He will continue to be monitored closely for a couple more months to ensure that he is okay and as a precaution. Rachel and I continue to pray and ask for prayer that Adam will continue to fully heal from his condition and live a healthy and normal life. We realize that both of our boys are gifts from God and a testament to the miracle of life. We are definitely blessed to have them in our care and home to cherish and love. Caption: Adam was only a few days old in this picture. 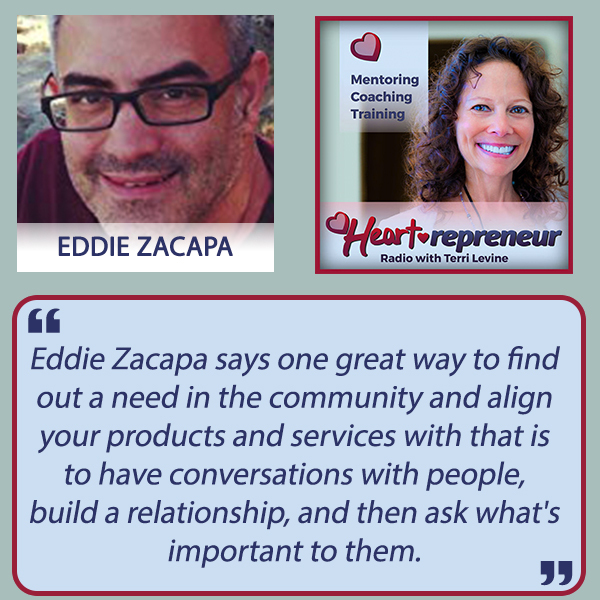 Eddie Zacapa came up with the idea to create a blog that inspired others. 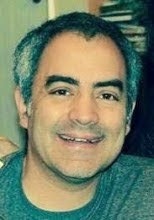 In 2006 he started Harmony of the Heart and began writing blog posts and articles. The blog has received more that 200,000 hits and has reached many with its message.